Product prices and availability are accurate as of 2019-04-15 06:22:56 EDT and are subject to change. Any price and availability information displayed on http://www.amazon.com/ at the time of purchase will apply to the purchase of this product. Save even more with our 2 ink cartridge set for the Epson T048 series. This bulk set includes 2 black high yield T048120 (T0481) ink cartridgeS, 2 Cyan T048220 (T0482), 2 Magenta T048320 (T0483), 2 Yellow T048420 (T0484), 2 Light Cyan T048520 (T0485), and 2 Light Magenta T048620 (T0486) inkjet cartridges. 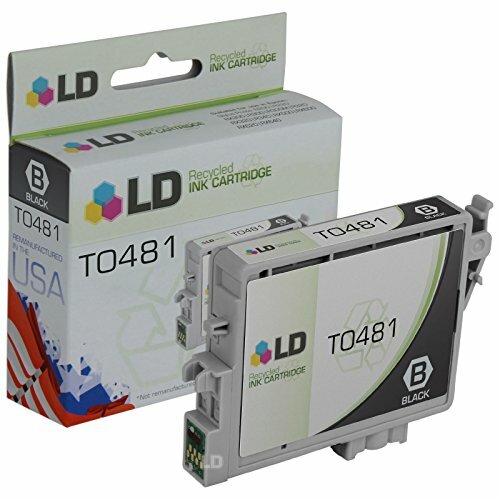 Why pay twice as much for brand name OEM Epson T048 black and color printer ink cartridges when our remanufactured printer supplies deliver excellent quality results for a fraction of the price? Our remanufactured brand replacement inkjet cartridges for Epson printers are backed by a full 2 year 100% satisfaction guarantee. So Stock up now and save even more! For use in the following printers: Stylus Photo RX620, Stylus Photo RX500, Stylus Photo R320, Stylus Photo R340, Stylus Photo RX600, Stylus Photo R300M, Stylus Photo R200, Stylus Photo R220, Stylus Photo R300. We are the exclusive reseller of LD Products brand of high quality printing supplies on Amazon. 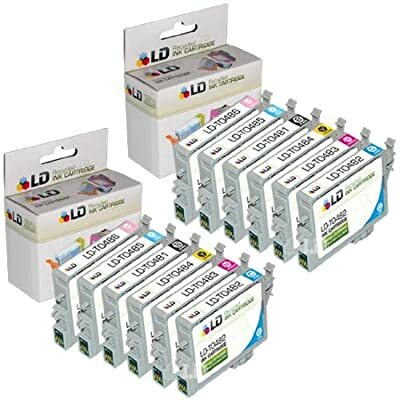 Shelf Life: 24-36 Months The use of LD branded laser toner cartridges and supplies does not void your printers warranty. All LD branded products are backed by a 100% satisfaction and LIFETIME guarantee With LD Products, you can shop online for ink and toner products knowing youll receive the highest quality products available with customer service and support that is unequaled by our competitors. LD Products is a leading provider of discount printer ink and toner for virtually every inkjet or laser printer on the market. We carry a full line of printer inkjet cartridges, inkjet refill kits, laser toner, fax toner and countless other printer supplies that allow you to save money, without sacrificing quality.